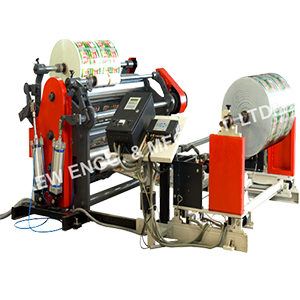 We manufacture and offer a wide range of Thermal Paper Slitting Rewinding Machine that are precisely designed and constructed to meet the standards that effectively meet the requirements of Fax Roll. We offer Thermal Paper Slitter Rewinder Machine is provided with razor cutter arrangement and can slit up to 50 mm width. This is the High Speed Automatic Tape-Less Slitter Re-winder machine for slitting the Thermal Paper Rolls, ATM Rolls, and POS Rolls etc.